Enjoy your own large private home in a quiet and safe neighborhood, but right in the heart of the city. Main level starts with a large great room with a 70" TV, designer leather living room and dining furniture and new kitchen appliances. The main level continues to a private backyard with a hammock, hanging chair and a large garden all surrounded by tall private fences. The front of the main level is furnished with a sitting room, queen bedroom, full bathroom, a laundry room, a desk and a private and cozy porch. You will love the great room and sitting room which are both showered with beautiful Denver sunshine 300 days per year. The front bedroom is and bathroom has been remodeled and can accommodate any guest with a walk in shower with a seat and versatile mounted/hand-held shower head. Upstairs features 3 bedrooms including the master bedroom/bathroom which overlooks the backyard. Be the master of your domain with a majestic king bed and full bathroom with his and her sinks. The other 2 bedrooms feature a full bed and twin/twin bunk respectfully. The bunk can be disassembled to make 2 twin beds instead of a bunk. 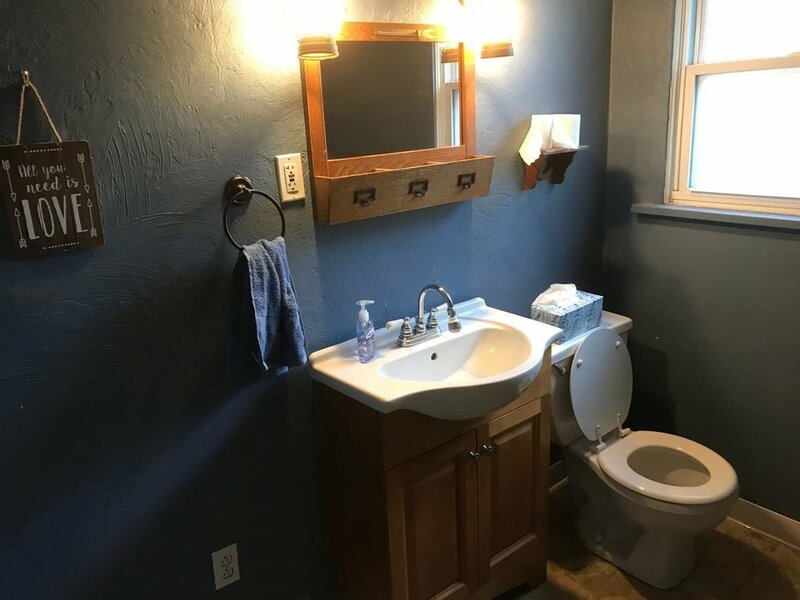 These 2 bedrooms share a large full bathroom with his and her sinks. Downstairs is the hang out. Have fun with our pool table and ping pong table. The basement is unfinished but still functional for some fun parlor games. This beautiful home is on the border of Englewood and Cherry Hills Village. You will see few cars in this quiet neighborhood but the location is amazing: 15-20 minutes from red rocks, 15 minutes to the DTC, 5 minutes from the famous Gothic Theater and South Broadway Art District (SOBO), 20-30 minutes to Downtown, 30 minutes to beautiful rocky mountain hiking. Come stay once and perhaps you'll be like some of my guests who have made this house their once a year home for annual gatherings in Denver.